Rotational molding yields exceptionally durable and long lasting parts. 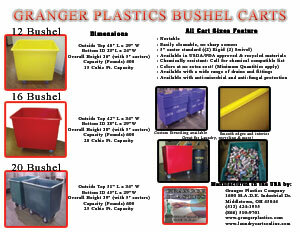 Polyethylene construction withstands higher standards than metal or other less durable plastic carts. Stands up to stress and much easier to clean than canvas carts. Utilize long lasting color options molded right in to promote branding or increase efficiency by identifying uses of particular carts. Swivel, rigid or both styles of caster arrangements are available for easy maneuverability. Proper movement to fit the exact container application allows for highest efficiency and safest functionality. 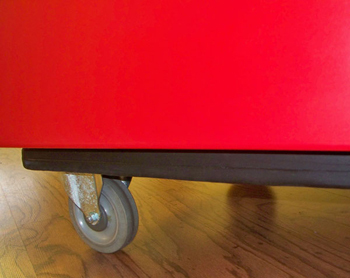 Superior design with metal base allows castors to be bolted directly into the cart for longer lifespan. The 16 bushel cart designed by Granger Plastics holds essential elements that make this cart superior to all others on the market. With an improved method of attaching the base and casters to the cart, it ensures security of the casters, which will prevent them from tearing away extending the life of the cart and casters. When creating a design to extend the life of the cart, Granger Plastics recently began molding the base and filling with foam for extended durability. Other manufactured cart bases are made of plywood or other fragile plastic materials, which shortens the life span of a company’s investment in its material handling carts. 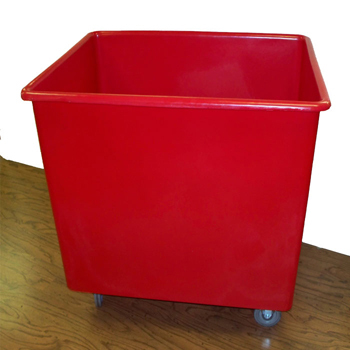 The Granger Plastics 16 bushel cart can be used for many purposes, from hotels, school campuses, uniform and commercial laundry services, to the scrap yards and waste management industries! 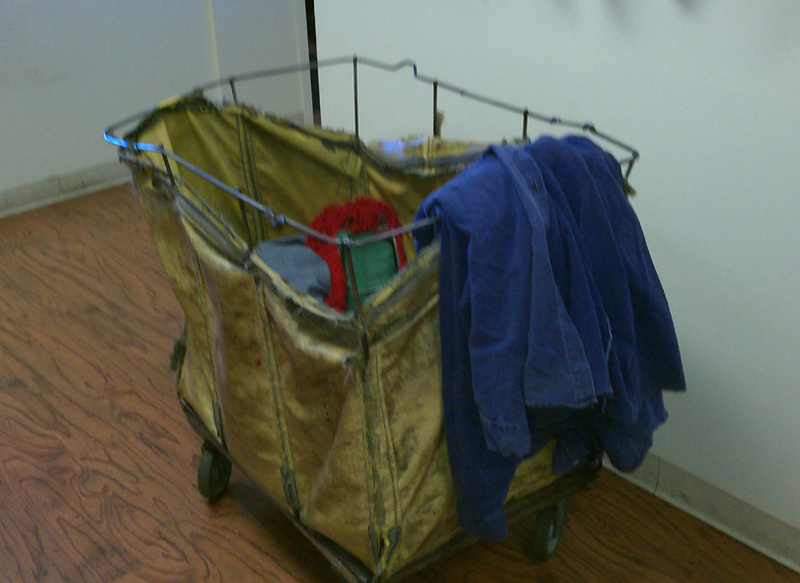 Recycling industries are one of the most common areas this cart is used. Due to its ability to easily transport heavy loads, sorting recyclables is a breeze! Its wide variety of uses makes it a common fixture in many hotels, resorts, universities, schools, hospitals and then some! 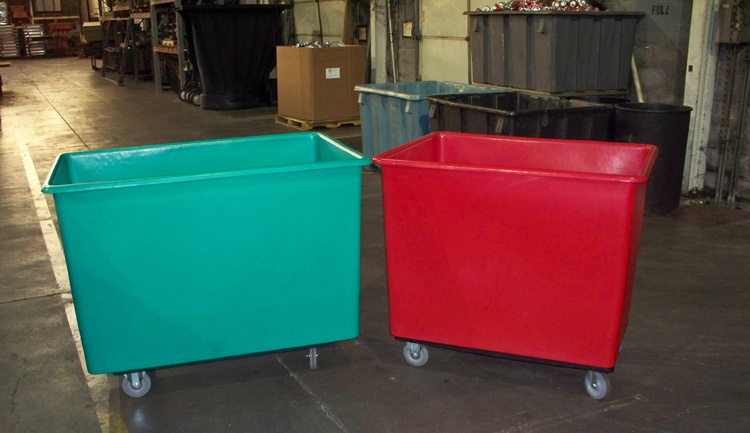 The 16 bushel size is one of the most widely utilized laundry carts in the plastics industry! The Granger Plastics 16 bushel material handling/recycling cart is available in a wide variety of colors standard or almost any shade available by custom order. 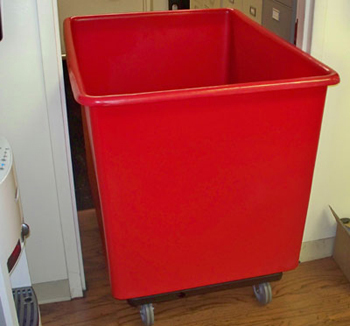 For the environmentally conscious company, this cart is also available in recycled materials! Customizing for easy identification, this cart can be easily stenciled, numbered, marked or labeled with your company’s graphic, decal or logo right on the part! It's even possible to place a RFID chip in it for tracking! This 16 bushel cart has a variety of caster configurations to ensure maneuverability is a breeze. These carts are stackable and nestable for easy shipping and storage adding convenience to efficiency. 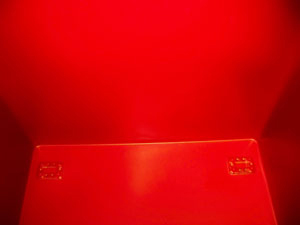 Rotationally molded polyethylene provides a smooth practical multi-purpose cart that will improve workplace efficiency. See the 16 & 20 bushel laundry carts manufactured by Granger Plastics in action, as it displays its ease of handling and multi-purpose function. The carts feature smooth interior walls, which allow for easy cleaning and no snagging of the laundry or linens in the cart. The 16 & 20 bushel laundry carts also feature an industry leading .220" wall thickness, that add for extra heavy duty laundry cart use!